The helium balloons are a perfect decor for special occasions like kids birthday parties. The helium animal balloons float in air for almost 6 to 14 hours. These are absolutely cute decor items which your kids are definitely going to love. You can fill hydrogen or helium for the walking effect with the help of a handheld air pumps. The material used is of good quality that comes with welded seams and special inflammation valves designed to ensure you have long lasting fun with them. 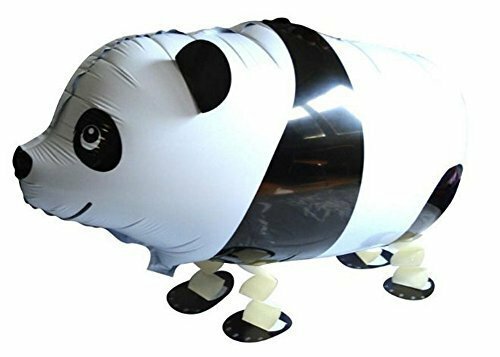 These animal balloons can be filled with hydrogen or helium for walking effect. Each ballon is brought to life by inflating. It can be pumped by handheld air pump easily. Ideal for Kid's birthday party, ball events and any type of party. If you have any questions about this product by Sepia, contact us by completing and submitting the form below. If you are looking for a specif part number, please include it with your message.